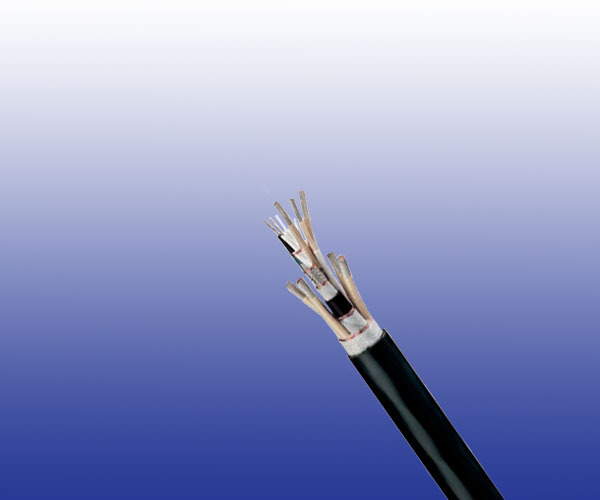 The cables are used as connecting cables to transmit digital signals inside railway rolling stocks. 4 cores 10 mm^2 stranded tinned copper conductor with LSZH insulation. Combined Element 3 cores (with Cu-strand 2×6mm^2, 1×2.5mm^2) are twisted with a fi lling element to a combined element. UIC Data Bus 0.75mm^2 Two foam skin insulated tinned copper stranded conductors are twisted together with two fi lling elements to a pair. Stranding 4 strands are twisted to a core together with 3 cored element, the UIC data bus and two fillers. Outer Sheath Cross-linked oil resistant LSZH compound. Combined Element 5 cores (with Cu-strand 2×6mm^2, 1×2.5mm^2 and 2×1.0 mm^2) are twisted with a fi lling element to form a combined element. UIC Data Bus 0.75mm^2 Two foam skin insulated tinned copper r stranded conductors are twisted together with two fi lling elements to a pair. Screen Tinned copper wire braid screen. Stranding 4 strands are twisted to a core together with 5 cored element, the UIC data bus and two fillers. Star Quad Four LSZH insulated 1mm^2 stranded tinned copper conductors are twisted to form a star quad. UIC Data Bus 0.75mm^2 Two foam skin insulated tinned copper stranded conductors are twisted together with two fi lling elements to form a pair. Stranding 4 star quads are stranded together with 2 or 4 UIC data bus cable and several fillers. Screen Tinned copper-wire braid screen.